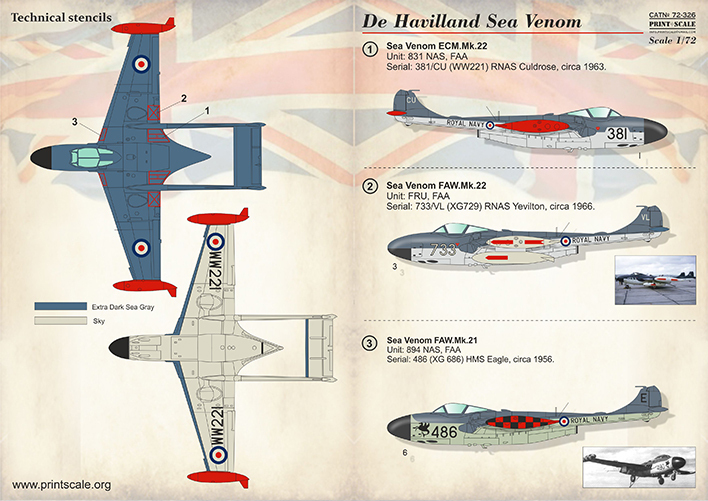 Cyber Hobby continues to impress with its latest 1/72 scale release-this time of a de Havilland Sea Venom. This British aircraft, based on the de Havilland Venom NF.2 night-fighter, was a jet fighter capable of operating from aircraft carriers. To suit this role, it required modifications such as folding wings, a strengthened undercarriage, modified canopy to permit underwater ejection, and a tailhook. The Sea Venom operated as an interceptor with the Royal Navy’s Fleet Air Arm. 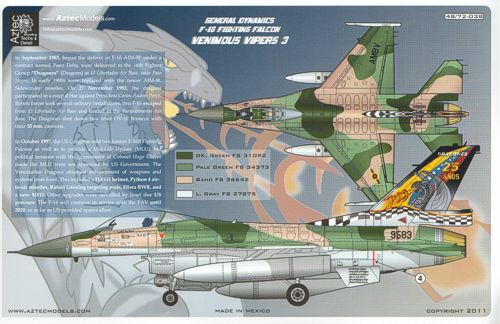 The first version was designated FAW.20 (Fighter, All-Weather), but Cyber Hobby’s kit represents the subsequent production version known as FAW.21, which first flew in April 1954. It featured a Ghost 104 engine that produced 22.1kN of thrust, radar system derived from the American APS-57, plus a reshaped canopy that provided a clearer view. Production of the FAW.21 ceased in 1957. Sea Venoms participated in such conflicts as the Suez War of 1956 and Cyprus Emergency of 1958. This 1/72 scale kit is the fruit of brand new toolings. Naturally, it’s extremely well engineered to support convenient and easy assembly. This engineering excellence is made manifest in numerous parts produced with the aid of slide molds. 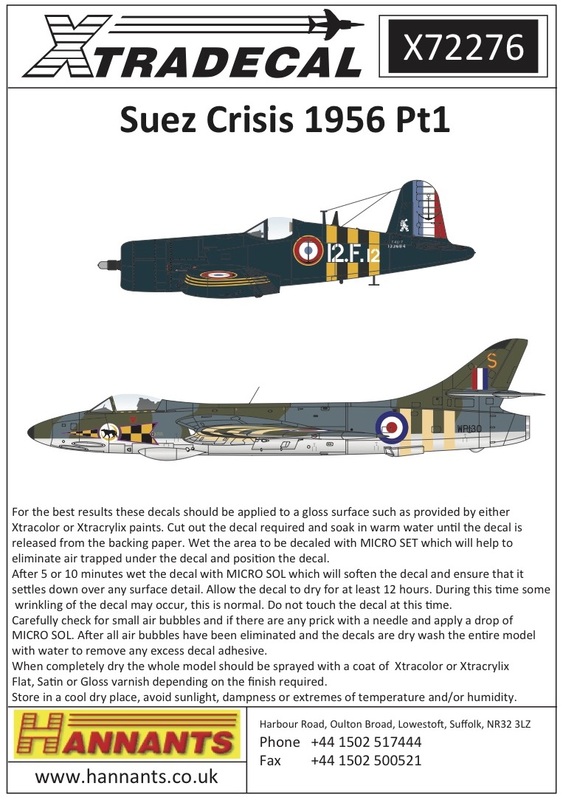 Panel lines are sharply and accurately delineated using laser crafting, while the streamlined form of the fuselage and twin-boom tail is realistically captured in its entirety. Coming after the launch of the Sea Vixen, this new kit of the carrier-borne Sea Venom adds muscle to Cyber Hobby’s aircraft kit collection! 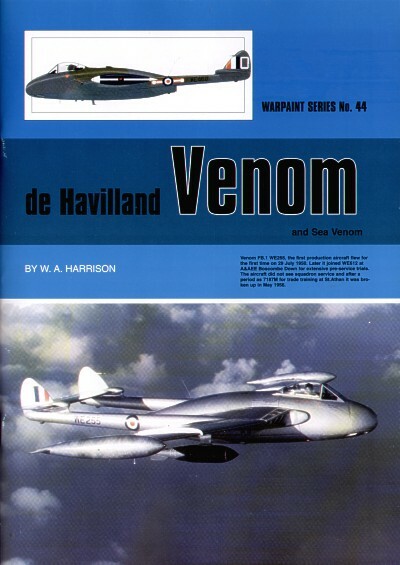 De Havilland Sea Venom 1. Sea Venom ECM.Mk.22. Unit: 831 NAS, FAA. Serial: 381/CU (WW221) RNAS Culdrose, circa 1963. 2. Sea Venom FAW.Mk.22. Unit: FRU, FAA. Serial: 733/VL (XG729) RNAS Yevilton, circa 1966. 3. Sea Venom FAW.Mk.21.Unit: 894 NAS, FAA. Serial: 486 (XG 686) HMS Eagle, circa 1956. 4. Sea Venom FAW.Mk.21. 801 Sqn.,Naval Air Squadron. HMS Albion, Royal Navy, 1956. 5. Sea Venom FAW.21. WW281 '095', No.893 NAS, HMS Eagle, 1956. 6. Sea Venom FAW.21. XG 693: 492-A of 894 Squadron FAA. HMS Albion late 1950s. Black and white shark’s mouth and red and black tip tanks. 7. Sea Venom TT.53 WZ 944 873 of 724 Squadron RAN, Nowra, NSW on 13 October 1969. Yellow bands on booms. Black and yellow target towing stripes on lower fuselage and under wings, upper surfaces Aluminium. 8. Sea Venom TT.53 WZ906:209-M of 724 Squadron, Royal Australian Navy, Nowra NSW or HMAS Melbourne in early 1960s. Blue tip tanks with yellow lightning flash.